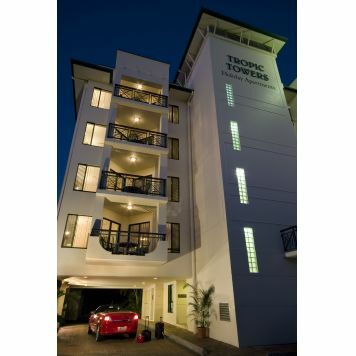 Tropic Towers Apartments offers spacious 1 and 2 bedroom fully self contained apartments. 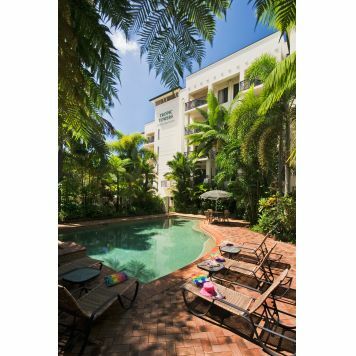 Resort style pool and spa set in lush tropical gardens. 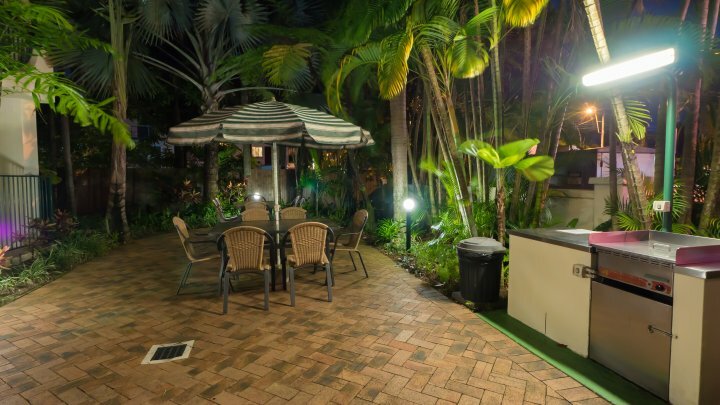 Free BBQ facilities by the pool. 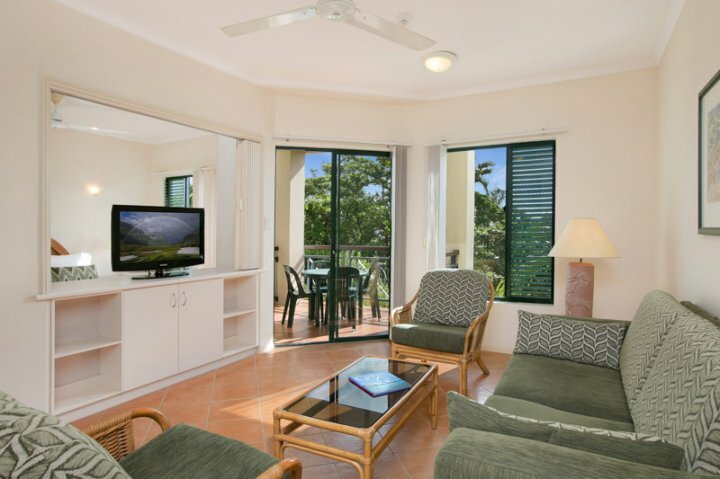 Free Foxtel TV to all apartments. Touring Booking Desk at Reception. 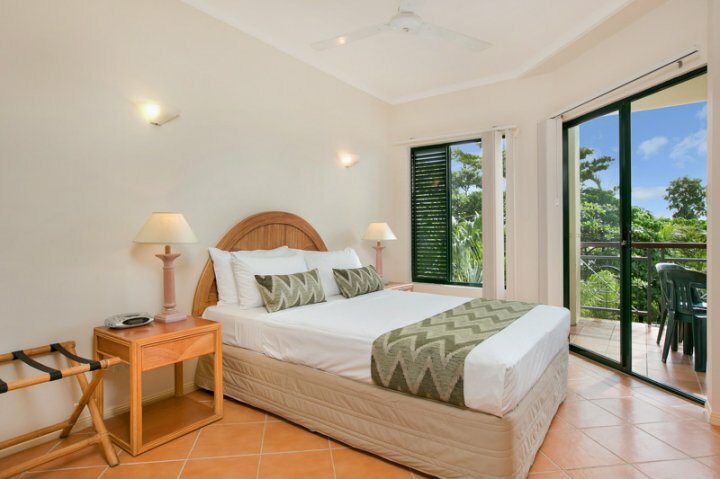 SPACIOUS SELF CONTAINED 1 BEDROOM APARTMENT. 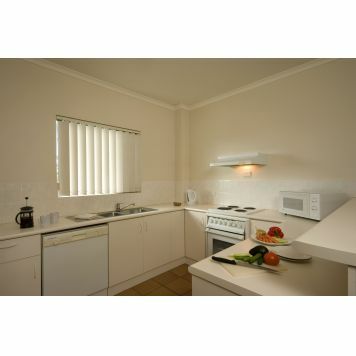 KITCHEN - Electric Oven & Cook Top, Microwave, Dishwasher, Fridge/Freezer. BEDDING - 1 Queen Bed (Rollaway bed available at extra cost). BATHROOM - Shower over Bath. 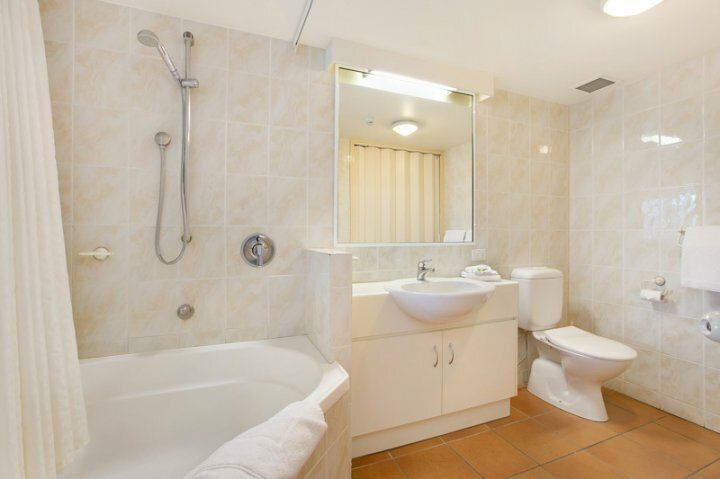 LAUNDRY (in Bathroom) - Washing Machine and Clothes Dryer. 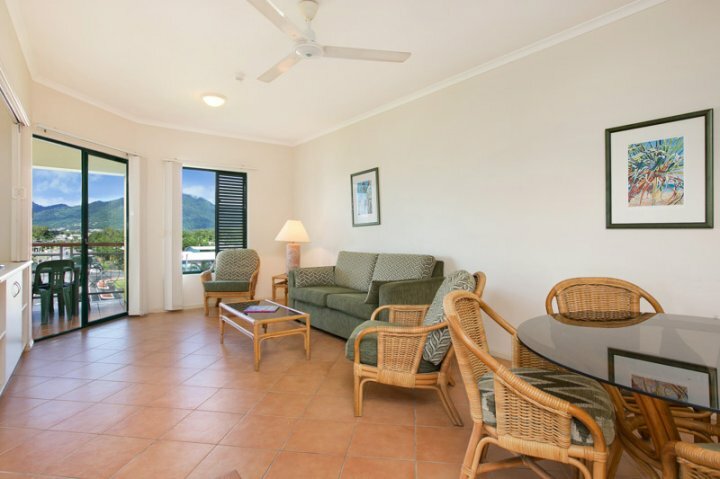 SPACIOUS SELF CONTAINED 2 BEDROOM APARTMENT. 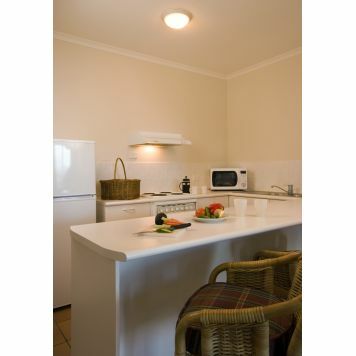 KITCHEN - Electric Oven & Cook Top, Microwave, Dishwasher, Fridge/Freezer. 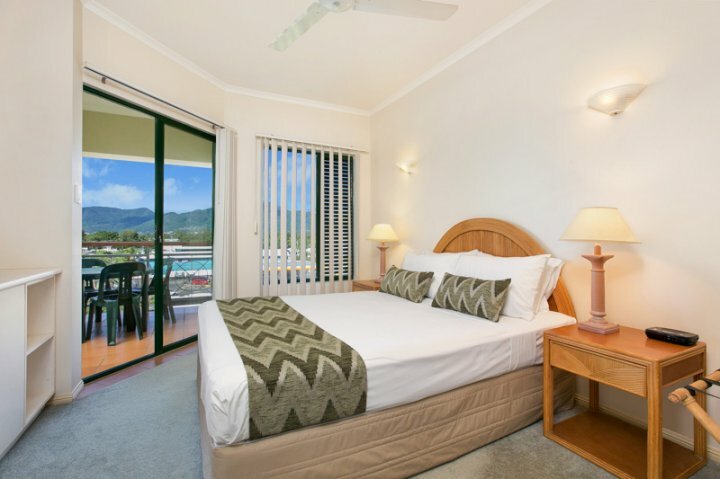 BEDDING - 1 Queen Bed and 2 Singles (Rollaway bed available at extra cost). BATHROOM - Shower over Bath. LAUNDRY (in Bathroom) - Washing Machine and Clothes Dryer. 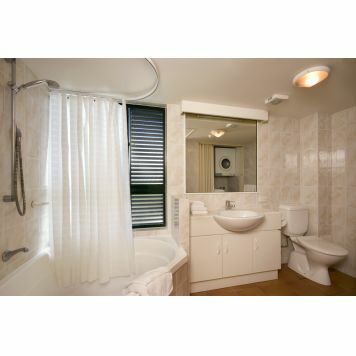 SPACIOUS SELF CONTAINED 2 BEDROOM APARTMENT with Disabled Facilities . KITCHEN - Electric Oven & Cook Top, Microwave, Dishwasher, Fridge/Freezer. 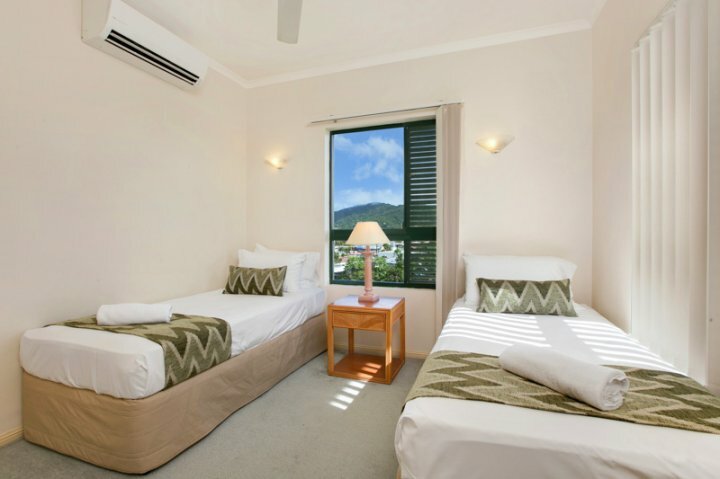 BEDDING - 1 Queen Bed and 2 Singles (Rollaway bed available at extra cost). 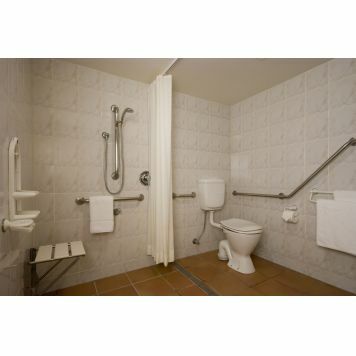 BATHROOM - Shower with hand rails and shower seat - see photo. LAUNDRY (in Bathroom) - Washing Machine and Clothes Dryer. Fax & Photo copy service available at reception. Please contact Reservations prior to your arrival to arrange Key Collection. 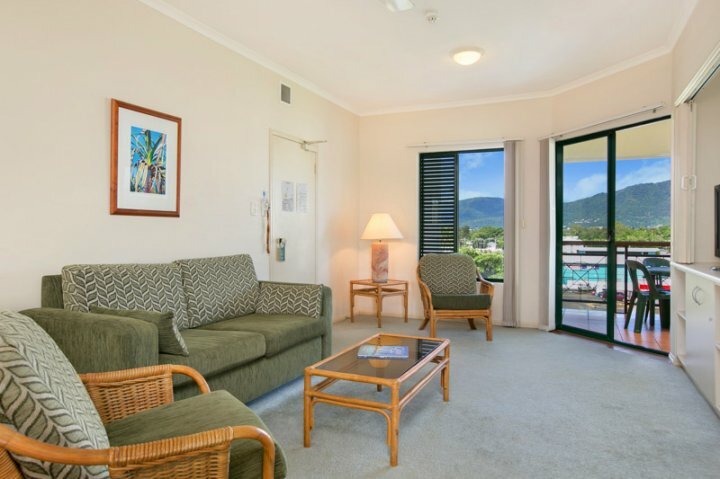 Conveniently located 2 km from the heart of Cairns City and 500m from the Esplanade and 5km from Cairns International Airport. 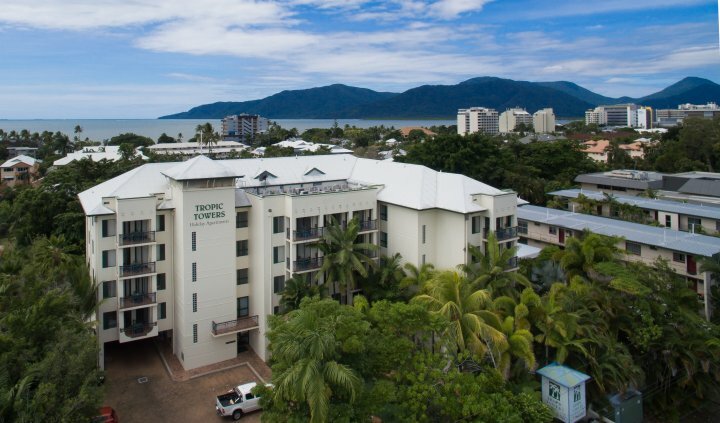 Tropic Towers Apartments is the perfect place to base your Tropical North Queensland Holiday. 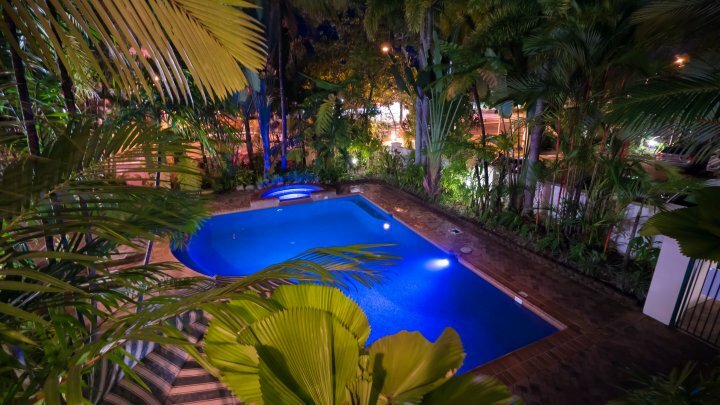 From here you can explore all of the popular attractions - Cairns City and Esplanade, the Great Barrier Reef, the Atherton Tablelands, Kuranda, Port Douglas, Daintree Rainforests and Cape Tribulation.